Recoleta is a neighborhood in the center north zone of Argentina’s capital, Buenos Aires. Well-known for its French architecture, imposing buildings, aristocratic cemetery, museums and art exhibits, Recoleta is elegant and refined. Shoppers strolling along the Avenida Alvear and the Avenida Santa Fe will find the world’s most sought-after name brands as well as bookstores and art collections. Recoleta holds a privileged place in the city, between the Obelisco and the Palermo neighborhood, between Retiro and the coastline. The most European of all Buenos Aires’ neighborhoods, Recoleta is not far from any of the capital’s most attractive spots and lies at the heart of the tourist zone. It offers a variety of top restaurants, pubs and discos from which the visitor can taste and enjoy the trendy porteña nightlife. One of the Recoleta’s biggest attractions is the Recoleta Cemetery, an unusual place with a variety of crypts and mausoleums of dazzling architectural richness. 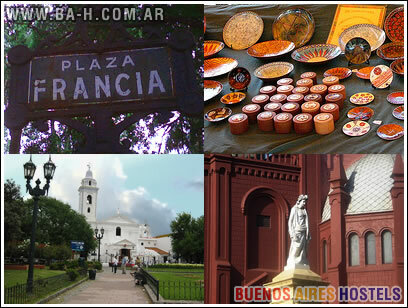 Here rests the aristocracy of Argentina, its presidents, celebrities and politicians. The most visited tomb, however, is that of Eva Duarte de Perón (Evita), champion of the poor and the working class, who now rests in the country’s most exclusive cemetery. The Church of Our Lady of Pilar, completed in 1732, is part of the old Convent of the Recoletos, the order of barefoot Franciscan monks who gave the neighborhood its name. This colonial church contains a stunning Baroque altar brought from Perú and decorated with silver from the Argentine province of Jujuy. In front of the church is the Plaza Francia, a green area where lively weekend artisan festivals delight natives and visitors with cultural activities and musical spectacles. The zone is also the home of the Centro Cultural Recoleta, a major gallery for contemporary visual art and the Buenos Aires Design Center, with original and attractive furniture, decor and design. Also worth a visit is El Museo de Bellas Artes (the Fine Arts Museum) contains paintings done by Goya, Monet and Rembrandt. Heading north, the visitor will find the Recoleta parks with the modernistic Public Library and the Sculpture of the Rose, a new mobile structure over 20 meters high, opening and closing according to the sunlight. 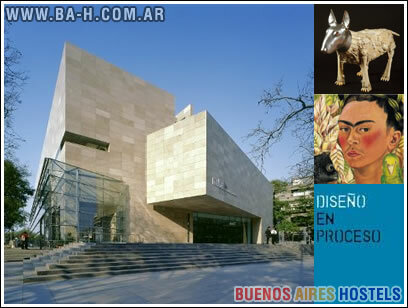 The new MALBA (Museo de Arte Latinoameriano de Buenos Aires) is interesting for its architecture and its expositions. Without doubt, Recoleta symbolizes the most refined, upper class European face of the city, a neighborhood the inhabitants of Buenos Aires love to show off. Don’t miss a visit to Recoleta! Here is a complete list of lodgings in the Recoleta: Apartaments, Hostels, Bed & Breakfast.